Summer brings travel opportunities for many of us, and for me it means making the annual pilgrimage to spend time with family in the Midwest. Imagining all the possible conditions my hives will be exposed to while I’m away makes me look at them in an entirely different way. Heat, drought, dearth, robbers and predators may come without me being able to mediate any of their effects. 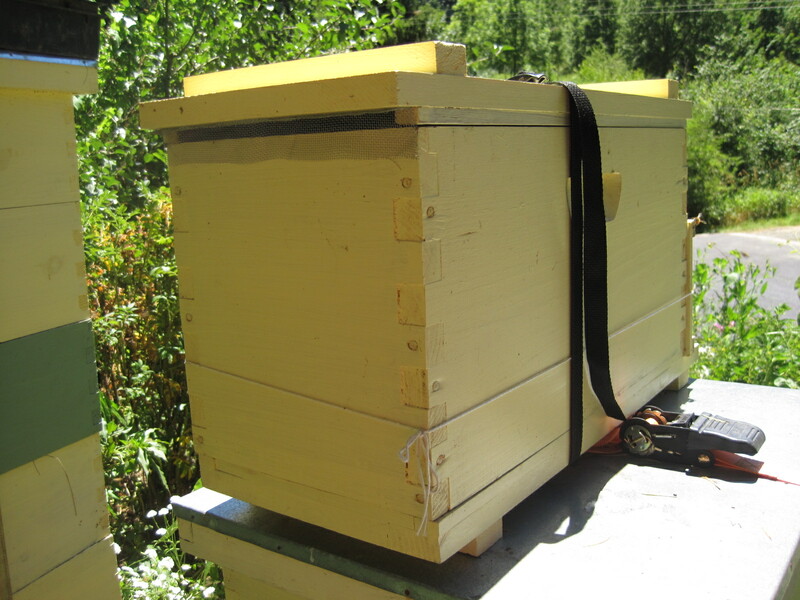 While I never feel I’ve perfectly prepared my bees for a long absence, I try to give the smallest and potentially most vulnerable hives some special attention. 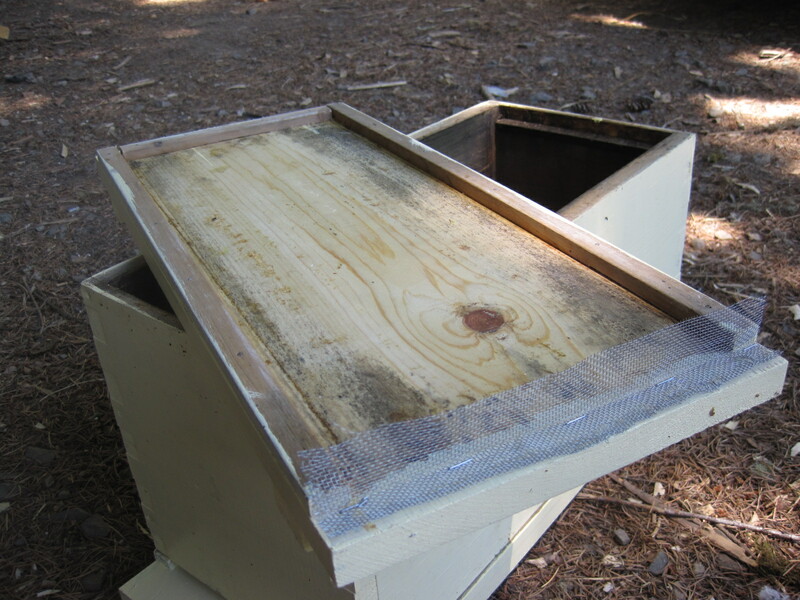 Screened bottom boards help most of my hives with ventilation all year round. Unfortunately, the wooden nucs I purchased have no such accomodation. To help this nuc out, I installed a 1/2″ shim on three sides of the lid. On the fourth side, I stapled some wire window screen. I am hoping this will allow for air flow from the hive entrance up and out through the back with the bonus of added space for a grease or protein patty. Robbing also gets to be an issue in my yard in the late summer. There’s actually quite a bit still blooming, but bees are not stupid and will take advantage of any opportunity for a free lunch. 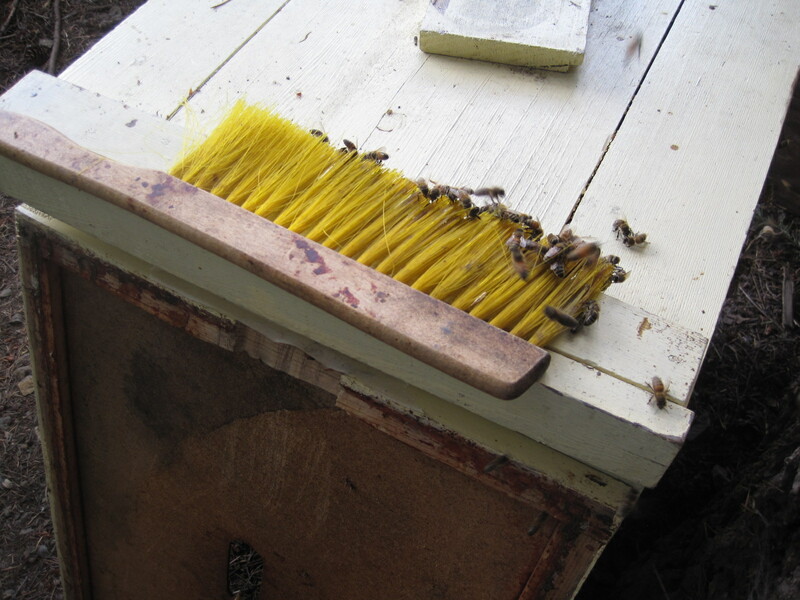 A forgotten, honey-laden bee brush or a small, poorly-defended colony–both are fair game. 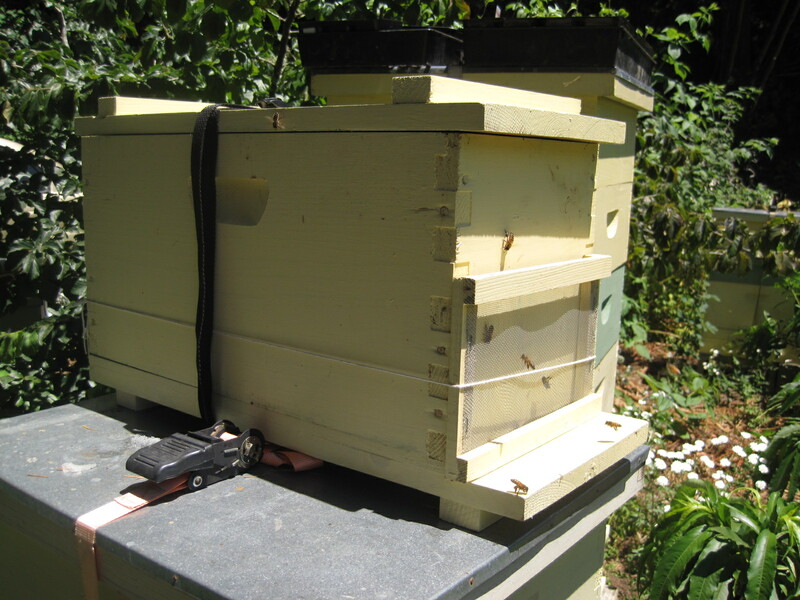 While there seems to be little help for this beekeeper’s absentmindedness, robber screens are really useful in keeping bees from developing a robbing habit. What do you do to help your bees out this time of year? Very excited bees find my misplaced brush.